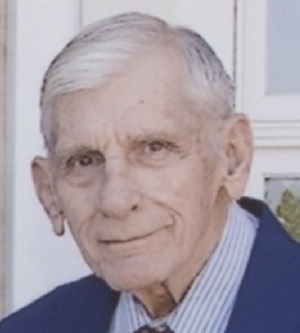 Frederick J. O'Brien, age 84, of Jasper, Indiana, passed away at 3:25 a.m. on Tuesday, April 24, 2018, at Memorial Hospital and Health Care Center in Jasper, Indiana. Fred was born in Huntingburg, Indiana, on July 25, 1933, to Franklin N. and Josephine (Knebel) O'Brien. He married Gloria Bretz on August 13, 1955, in St. Mary's Catholic Church in Huntingburg, Indiana. She preceded him in death on February 7, 2018. Fred was a 1951 graduate of Huntingburg High School. He earned his Bachelor's Degree in Education in 1955 from Xavier University and then earned his Master's Degree in Education from Indiana University. Fred served in the Army Reserves for 30 years, and retired as a Colonel. He was also the Commander of the 324th Military Police Unit in Jasper. He was a teacher for over 30 years in several school districts. He was a member of Holy Family Catholic Church in Jasper. He enjoyed spending time with his family, grandchildren, and great grandchildren, especially attending their sporting events. He liked doing crossword puzzles, and he was an avid St. Louis Cardinal's baseball and Kentucky Wildcat's basketball fan. Surviving are two daughters, Patti O'Brien, Huntingburg, IN, Liz (Joe) Milligan, Jasper, IN, three sons, Michael (Andrea) O'Brien, Jasper, IN, Steve (Lisa) O'Brien, Jasper, IN, and Jim O'Brien, Lebanon, IN, 11 grandchildren, one step grandson, and three great grandchildren, and two brothers, John (June) O'Brien, Oxnard, CA, and Dan O'Brien, Atlanta, GA. A Mass of Christian Burial for Frederick J. O'Brien will be held at 10:00 a.m. on April 27, 2018, at Holy Family Catholic Church in Jasper, Indiana, with entombment to follow in the Fairview Cemetery Mausoleum in Jasper. A visitation will be held from 2:00-8:00 p.m. on Thursday, April 26, 2018, at the Becher-Kluesner Downtown Chapel and one hour before services at the church on Friday. Memorial contributions made to Holy Family Catholic Church or a favorite charity.